Frugal Introvert's Diary: 5 Levels of Leadership. 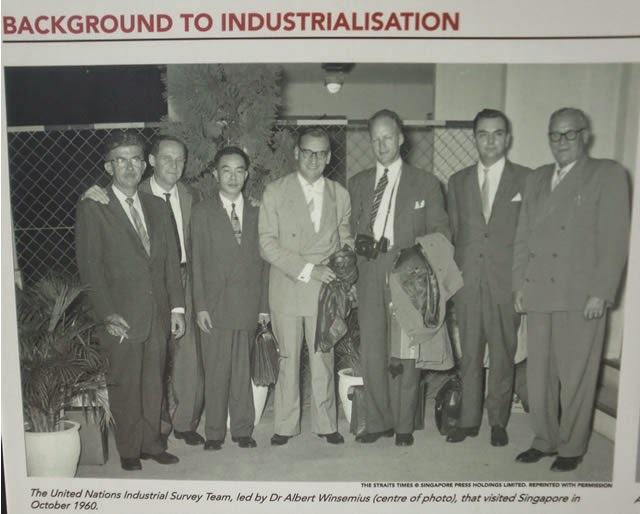 Where Does Lee Kuan Yew Stand? 5 Levels of Leadership. Where Does Lee Kuan Yew Stand? Too much credit is given to old man Lee Kuan Yew for building up the country. With his passing away, the media be it online or offline are presently filled with plenty of stories to shore up his legacy. He has also written many books & while i have not read any book written by him from front to back, i would say his mind is still clear & sharp as i flipped & quick read a couple of pages of his 'One man's view of the world' published in 2013 at a bookstore. The only book i read in its entirely is an interview book done by Tom Plate. How does Lee Kuan Yew rank as a leader? According to Jim Collins, author of 'Good to Great', there are 5 levels of leadership. I consider him to be a level 4 leader. Why not level 5? Because there's no enduring greatness for the company/country as we can see in the problems of insufficient hospital beds, frequent train breakdowns, declining productivity level from the result of the current 3rd generation management. If you look at the commitment/sense of belonging from the number of flags flown for national day last year- Record Low Flags Display in 2014 Before 50th Anniversary blogpost, it is dismal. 1st generation -- greatness in uplifting the masses lives. 2nd generation -- greatness wanes as greed among the leaders sets in. 3rd generation -- greatness bank account more or less empty. Many peasants are brainwashed through the state controlled media that the old man is hugely responsible for building up the economy. A netizen used the example of the big budget overruns for the 1st Youth Olympic Games showing that the minister/scholars ain't got a clue. Likewise the old man ain't got a clue to running the economy at the beginning & scared the economy can't support the country's population & thus the 'Stop at 2 births' policy . His pursuit of his garden city vision is a legacy the peasants & tourists enjoy today. On the economic front, economist Albert Winsemius provided advice on massive industrialization. In executing the advice, the old man is able to catalyze commitment from his 1st generation ministers & stimulates them to high performance standards. There's a few historical signboards on the history of Jurong a few meters outside CashConverters at Jurong East Central. Have a look if you passed by the area. Albert Winsemius provided advice for free for 25 years. How's that for his economic contribution to our country? Yet his valuable contribution is something that is not registered in the minds of most peasants who are brainwashed into thinking that the old man is hugely responsible for the country's economic development. Certainly the old man is good at harnessing commitment & stimulating the ministers to high performance on acceptable salaries. The same cannot be said for the 2nd & 3rd generations despite highly paid & obscene salaries respectively. Where got enduring greatness(level 5) when after relinquishing premiership, the country started to stagnate & then decline(not in gdp terms though)? After getting used to the power of premiership, he was hardly willing to let go of the reigns. He stayed on in the advising roles of Senior Minister & Minister Mentor. Does greatness endure despite a change in premiership? By Jim Collins's criteria, Lee Kuan Yew is a good leader who hasn't made the leap to great. A level 4 leader is often more bothered about his greatness than his company/country's greatness. Level 5 leadership is attained when the company/country continues to be great even after its founder is absent/dead.